Absolutely adorable, perfect for cat owners and lovers alike! It will make you want to hug your cat and never let go ;_; The episodes are very very short and will leave you wanting more. The story is told from the cat's point of view, which is a new take on story telling within the anime world - this is the first drama series I've seen where a non-magical animal is not only an important character, but has a hefty amount of dialogue. Lots of good feels and certainly heartache in the near future. This show is beautifully animated, and gives you a sense of peace and warmth. Like curling up with a good book, a blanket, and a hot drink. The lazy music is somehow filled with deep emotion, and draws you into the relaxed yet philosophical mind of the cat as he watches his owner struggle with becoming an adult. It's such a sweet story, but at the same time it's gut wrenching when you see the girl struggle and the cat struggle to comfort her. DON'T EVER DIE DARU!!! The most truthful anime about owning a cat. at first I wasn't sure of what i would feel towards this anime. I love animals especially cats so I was drawn to its premise a collage girl living with her cat. The job of a Tragedy is to tell a sad story while leaving the viewer, reader, listen, etc feeling satisfied. Hamlet, Modoka, and Requiem For A Dream can all be used as great examples to this. She and Her Cat -Everything Flows- can absolutely be placed in this category. Going into the series I was able to tell form moment one how this series was going to end. I knew that this was going to be a gloriously sad story. I was not disappointed and will say that I was indeed satisfied. It is a hard watch, but masterfully done and each episode clocking in at seven minutes floats by. We see the loving relationship of a cat and her owner. We see how it blossomed from her youth to her adulthood. We see all of this and we know how it will end. I don't see this as a spoiler heavy review. The first episode gives you the knowledge and it is simply the journey with a quite wonderful ending that allows the way. Clocking in at less than half an hour total I must highly recommend this series and give it a perfect five out of five, a four out of four on my preferred scale, and the first ten out of ten for a series I've given in a good long time. WATCH THIS AND FALL IN LOVE. The entire screen time of this anime is about twenty-four minutes, not a second is wasted. 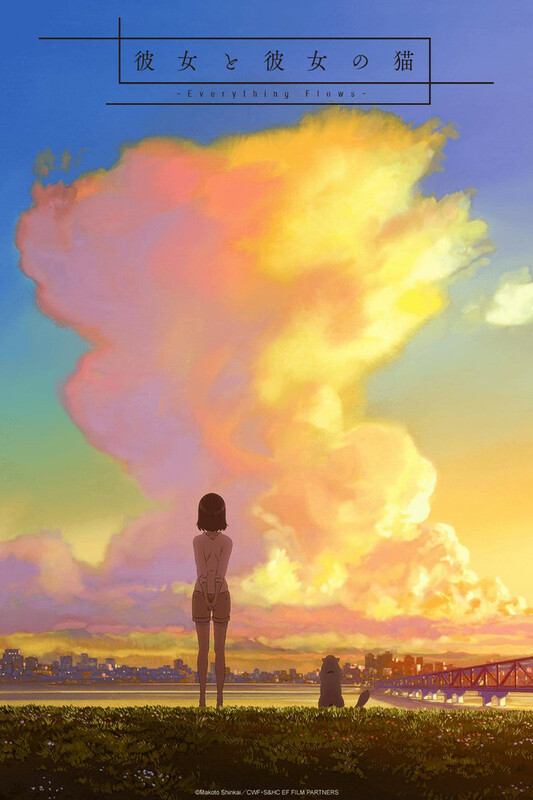 Each moment of this anime is like the stroke of an artist's brush upon a canvas that will move you in a profound way. It's a story of selflessness told from a perspective that we seldom consider. The linguistic style, the pragmatics of the language, and the aesthetic quality of each moment will leave you breathless. Anime, as an art form, at its finest. Seriously. For just 7 min * 4 episodes of about 30 minutes, it can't get much better. The music and the graphics/animation is simply amazing for a short show like this. And for some reason I really liked the voice actor of "she". Anyways, it was really a surprise for me, and I would recommend anyone to watch it. I mean, 30 minutes for an awesome feel trip ain't that bad right?